When you are admitted to a hospital, you will most likely be admitted by a Hospital Medicine physician. These physicians specialize in treating the complexities of hospitalized patients. The goal is to efficiently and effectively manage acute illnesses, reduce length of hospital stay, while maximizing patient experience. It is quite the challenge on a daily basis, but one that is very rewarding at the end of the day. In modern medicine, it is absolutely fascinating how quickly we can reach a diagnosis, understand the physiology at play, launch a treatment plan, and get a unconscious or at times a person with no heart beat initially, walk out of the hospital in a matter of few days. I have been doing this line of work for 10 straight years, holding various leadership positions, and one day realized that all the great work we did in the hospital can quickly become undone once the patient leaves the hospital. Either the patient could not get a primary care follow up within 7 days of discharge, had too many specialist follow ups ultimately confusing the family and the patient, or cost of medications or lack of insurance was a barrier to follow up. Quite honestly, it really doesn't matter if they have insurance. The issue of access and cost is far greater than coverage. I also learned there was a lack of awareness of community resources from patients and physicians. Picture this - you go to high school, college, medical school, then residency, then get employed by a large hospital system. So your understanding of health care becomes institutionalized and biased. The only community resources you know comes from who the health system partners with and THAT IS IT. You work too many hours to step outside the health system to fully understand the community you serve. Having started a Direct Primary Care practice, forced me to get outside my comfort zone. I attended and joined multiple Chambers of Commerce, attended Rotary Clubs, shake hands with random people, drinking lots of damn coffee at coffee shops for one on one meets, and listen and learn from professionals who are doing incredible work in my community. These are small businesses that deliver quality personalized care. More importantly, you can feel their passion for what they do. A referral I made was not another number in their monthly quota. The referral was treated with special attention and an opportunity to build a relationship. In addition to meeting amazing people in the community, as a Direct Primary Care physician who also works in the hospital, I started to understand how some of the education we did at discharge was overwhelming patients. For example, heart failure patients are aggressively educated to prevent readmission within 30 days to prevent loss of revenue for the hospital, so the checklist of items must be completed. In the process, someone with stable heart failure, discharges thinking the end is near for them. They would sign up with our practice overwhelmed with the medications and information they received at discharge, that it takes a 60 minute visit to walk them through it all. You start to see how financial incentives insurance companies, including Medicare and Medicaid, place on the practice of medicine affects patients utilization of health services and ultimately increasing the cost of care. At the same time, practicing Direct Primary Care, allows you to look behind the game. You start to understand and see the real cost of health services. It is infuriating and almost a crime. The greed is sickening. You become bold, confident, and walk a little taller because you are armed with knowledge and experience. Most physicians have no idea what the true cost of care is and shrug their shoulders when you ask them. Most of them are too burnt out or have not had time to really learn the system - but I do not like that excuse of not having time. We all make time for anything we prioritize. We all are busy, but if we prioritize something or make it necessary, it will be done. To truly impact the health of our nation, physicians are going to have to get uncomfortable, grind, get out of their comfort zone, fight, speak, yell, do everything and anything we can to change policy. If this sounds like too much, then medicine is not for you. Being a physician is a responsibility. You are responsible for the health of our world. In this global economy and world of social media, we all are interconnected. We are one people, each with individual talents, skills, experiences, and backgrounds. To heal, means to understand the human spirit and seek opportunities to improve health through better housing, better jobs, innovative treatment options, prevention, counseling, and simply listening. That is what makes this profession so beautiful. There are over 62 million Americans over the age of 60 with continued expected growth over the next several years. In fact, people around the world are aging at increasing rates. This rapid growth demands health systems around the world to adapt by embracing innovative solutions to manage the health conditions that may come with this growth. Beyond the health conditions, there are multiple stakeholders involved in care delivery. Therefore, it becomes critical to have a true "quarterback" that is managing this type of complex care. This is the role of primary care. This is the value of direct primary care in elder care. Centers for Medicare and Medicaid (CMS) is pushing for a shift from fee for service care to value based care. Thus, the goal is to reimburse physicians for care coordination. Currently, physicians are not reimbursed for their time spent on care coordination. However, how realistic is it for a traditional primary care physician who is seeing 20-30 patients in the office to be 24/7 available? This is impossible. The solution many health systems have for this is to place mid level providers, like Nurse Practitioners or Physician Assistants, to respond to patient needs. But, how does this facilitate continuity of care or building long lasting relationships? There are call schedules and so forth that prohibit the same physician responding to the same patient on a 24/7 basis. This is where the lapses in communication and continuity of care fall short. 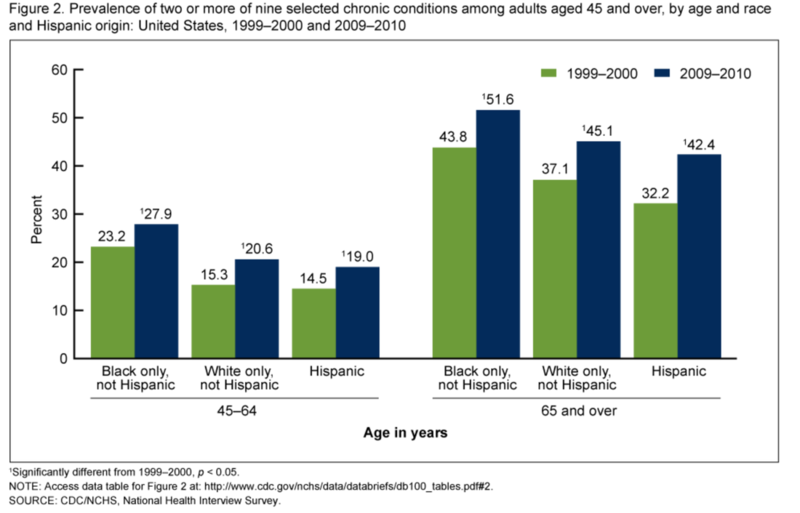 Why do older Americans join direct primary care practices? You should really ask them! What you will see is a sweet smile and a look of "are you seriously asking me this question?!" From accessibility to affordability, many patients older than 60 years old will tell you that they join these practices for simply the peace of mind. One doctor in charge. Family members love to have access to that "quarterback" who they can contact to know exactly what is going on with their loved one. House call at their independent living facility or assisted living facility is a huge value for the patient, the facility staff, and family members. In addition to be able to manage and discuss multiple issues during a single office visit, family meetings are more feasible. Understanding ones definition of quality of life is better understood. More importantly, that definition is the lens by which any future health care services will be recommended. This assures the patient and their family members that everything will be done to protect and secure their right to live a high quality of life. Most membership fees range from $70-100 per month that include many free office procedures and no copays when they visit the office. Medications, imaging, and labs can be purchased using their Medicare or supplemental insurance. BUT, at a direct primary care practice, they can see what the cash price is for the service before deciding to use their insurance. This is true consumerism in health care delivery. Many do not realize how insurance companies delay echocardiograms, stress tests, other imaging studies, and other services by having a horrific prior authorization process. These delays lead to medical complications and delayed care. At least at a direct primary care practice, you can bypass this chaos and pay discounted cash prices for the services and prevent any further headaches. So, if you want the best for your loved ones or yourself, consider a direct primary care practice. From your residence, the office, to hospital care, direct primary care physicians will be at your side to take care of you. We will give you everything we have to offer to make your health care experience the best, while optimizing your definition of quality of life. This is our promise. 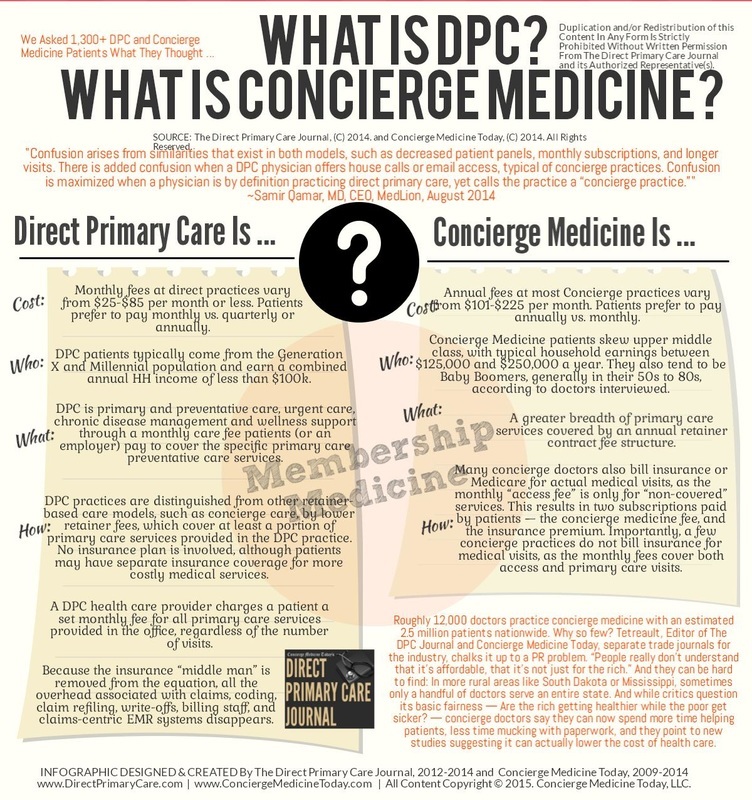 In this final blog post as part of this series, I feel the need to start with illustrating the difference between Direct Primary Care and Concierge Medicine. It is very important for my readers to understand the terms we are using in explaining how Direct Primary Care in combination with the Affordable Care Act (ACA) is the best solution for our healthcare system. ​In addition, I refer to direct primary care as well as direct medical care in general. I strongly believe, as many specialists, surgical centers, and endoscopy suites do as well, direct pay for medical services is less expensive than billing to insurance companies. Is geared towards appealing to the masses. Think of it as "concierge" care for everyone, regardless of income status. Majority of practices offer free charity care. Monthly fees are kept low with inclusion of office visits, telemedicine, in-clinic procedures, medications, imaging, and labs. The idea is to maximize the patients return on investment (ROI) with a low operating overhead. Insurance is never billed on top of monthly fees. In order to really understand the economics of health care spending on a national level, think about this: We spend about 25% of the national budget on four health insurance programs — Medicare, Medicaid, the Children’s Health Insurance Program (CHIP), and Affordable Care Act (ACA) marketplace subsidies. How efficient are we with our tax dollars? What is the return on our investment? We spend 17.2% of our GDP on healthcare; more than any other nation in the world. Take a look at the graph below. 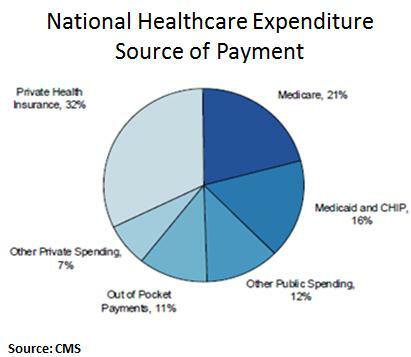 We spend 49% from public funds on health care. The reason for inefficiency all of a sudden becomes more clear. What happens when direct care and health insurance programs work together? It is estimated that about 80-90% of all health issues can be resolved or prevented in the primary care setting. 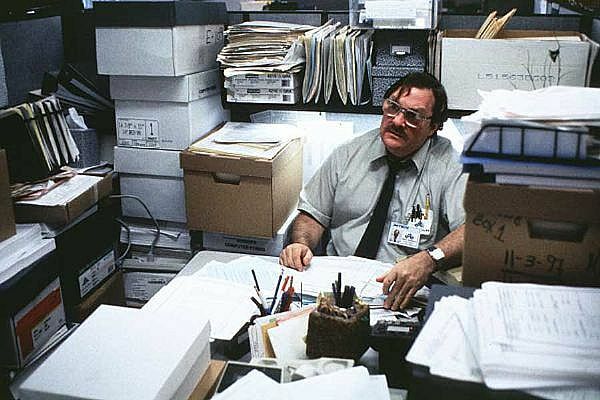 Yes, you read that right, a significant majority of issues can be managed and prevented in the office. Urgent cares, stand alone ER, and now the new trend of small hospitals are feeding off the need for accessible care. Large health systems are trying to reach more patients with multiple "footprints" across the region to bring in more people into their system. People find comfort in that all their information is "in one place." But, we tend to forget that when physicians are on medical staff or teach at various hospitals, we have access to the EMR and able to coordinate hospital care, like the "old" days. I would argue, when your patient panel is smaller (less than the traditional 6,000 patients) then it becomes easier to coordinate and provide hospital care. By saving $0.40 on the dollar, practices are able to offer more services, use technology to make themselves available to their patients, while keeping the cost of their services low. The consumer's out of pocket expenses are drastically decreased as majority of direct primary care practices do not charge co-pays or any additional costs for in clinic procedures. In addition, the discounted imaging, labs, and medications are drastically lower than with insurance. When we take insurance companies out of the outpatient world: all primary care practices, specialty office visits, imaging, laboratory, physical therapy, occupational therapy, speech therapy, and some outpatient procedures, then the insurance companies are purely covering inpatient care and catastrophic care. A large component of insurance premiums are to cover these services. So eliminating the outpatient services will significantly reduce these premiums. The medical offices, imaging centers, laboratory facilities, and many procedural suites save big when they don't have to bill insurance by reducing their staffing, paperwork, and resubmitting of claims. Thus, the cost of their services will come down and the market is open to competition. Accounts receivables have minimal to zero balance; leaving liquid cash in the bank to offer more services. Please note, many endoscopy suites, surgical centers (like Surgery Center of Oklahoma) specialty offices, imaging centers, laboratory facilities, and of course primary care offices are moving to a direct model because of these benefits. 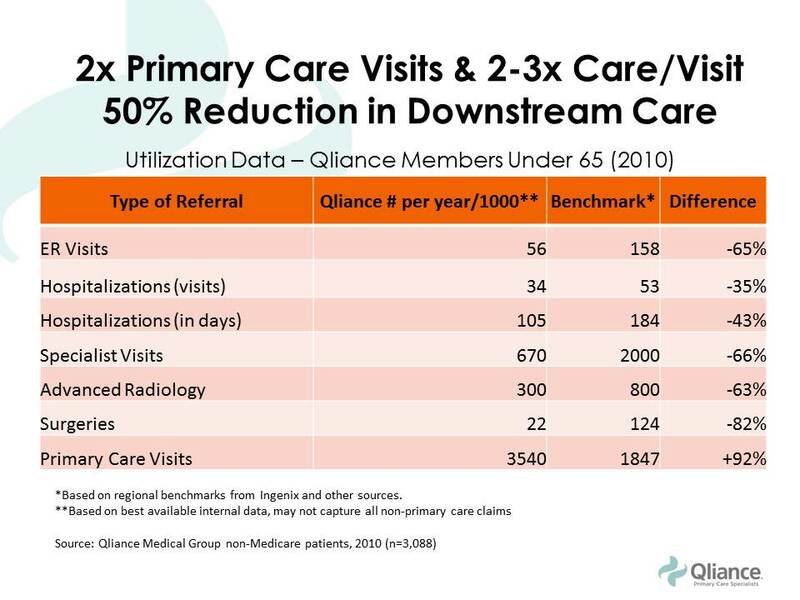 With accessible and affordable primary care, studies have shown that not only do people visit with their primary care doctor more, but their risk for admission to a hospital is drastically lower (see diagram below from our friends at Qliance). Hospitals have an opportunity to embrace a direct model as seen around the world and surgical centers where there is no insurance billing. But, I fear this will take some more effort and health insurance lobbyists are quite powerful. So, I will push the envelope towards at least getting the outpatient world out of the grasps of health insurance. Medicare and Medicaid are government sponsored health insurance programs that will also be focusing on inpatient and catastrophic care in this new model. Folks who are paying lower premiums can fund their Health Savings Accounts (HSA) or Flexible Spending Accounts (FSA) to pay for direct medical services. These are pre-tax dollars and funding them is more realistic as the consumer will be paying less out of pocket for their health insurance premiums. Even the $50 monthly fee for direct primary care can become difficult for some Americans. This is where practices should be given a tax incentive to provide free charity care. The more they do, the more they save. Currently, tax laws place a cap on how much they can claim as charity care. Each practice can also be allowed to set up a charitable foundation and reduce the complexities of forming of 501(c)(3) organization. This will enrich a community feel of delivering health care and bring all Americans together in providing quality care for one another. ​States can expand Medicaid without having to increase their state taxes as much. The IRS and the ACA must agree on terms, as they currently have different definitions for HSA and FSA as to what qualifies as a medical service. This will happen soon, but in aligning the definitions, this will incentivize more development of direct medical practices across the country. 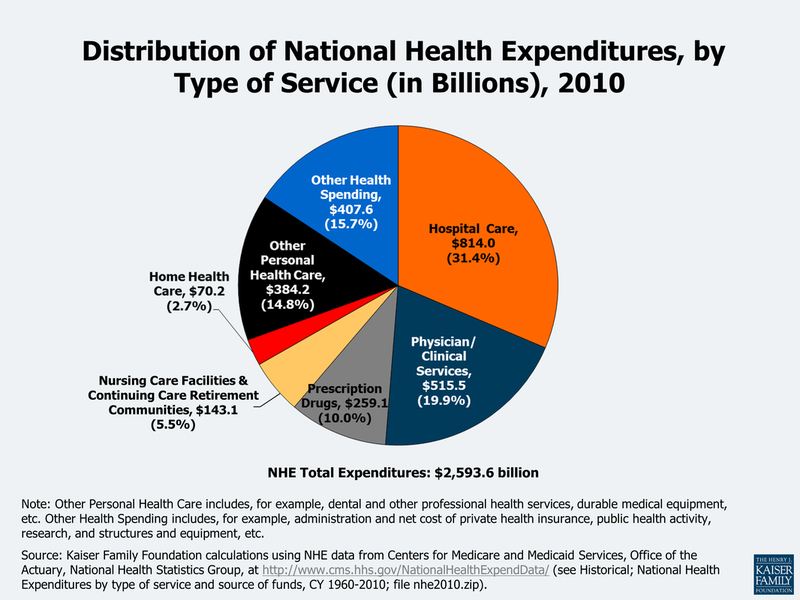 So, what does it look like for the consumer purchasing medical services? To answer this question, lets put ourselves into the shoes of a imaginary 40 year old man named Tommy. Tommy is a car parts salesman and recently took over his fathers business. He is very energetic and overweight. He has diabetes, heart disease, and some kidney disease. He starts searching for a direct primary care doctor in his area. After spending time meeting the doctors and their staff at different practices, he settles on one. We can call it LiveActive Primary Care, which is a member of Health Suite 110. He then looks for a health insurance product that has his hospital of choice in their network and co-incidentally his new direct primary care doctor also provides hospital care at that same hospital. What a find! His premiums are much lower and he gets a plan with a HSA account so he can fund his card with pre-tax dollars. His first visit with his direct primary care doctor is 60 minutes where all his health issues are discussed and a plan of care is developed. He walks out with all his labs done for less than $35, medications that are significantly less, and plans to see his kidney specialist soon. Since his kidney specialist does not bill insurance, they are able to see him same day or next day. All his doctors are a text message away. When he arrives at the kidney specialists office, his case has already been discussed by his primary care doctor and the specialist. This is a real possibility as both of these doctors have the time to discuss cases instead of seeing 30 patients a day with unnecessary paperwork. They discuss the case and he is on his way home with a plan. All his invoices are automated and can be reviewed through an app on his phone. When Tommy goes to the hospital, both of his physicians come to take care of him. The nurses and hospital staff are ready to take care of him upon his arrival. Below is a screenshot of his doctors practice. How about the consumer with no health issues? So for this part, we meet Elon. He researches a direct primary care practice just as Tommy did and signs up. His health insurance product is just as cheap as Tommy. Elon is playing with electric cars and hurts his hand. He texts his direct primary care doctor with a picture of his swollen hand. His doctor takes a look at the picture and calls him to discuss his symptoms via video chat. After assessing his mobility, Elon is told to get a hand X-ray, which costs less than $40. Elon walks into the imaging center, gets his X-ray done, and within minutes his direct primary care doctor calls him to say that they saw the images and he needs a cast placed. Elon is told to come the office that same day and a cast is placed for $40. Elon goes back home to play with rockets. 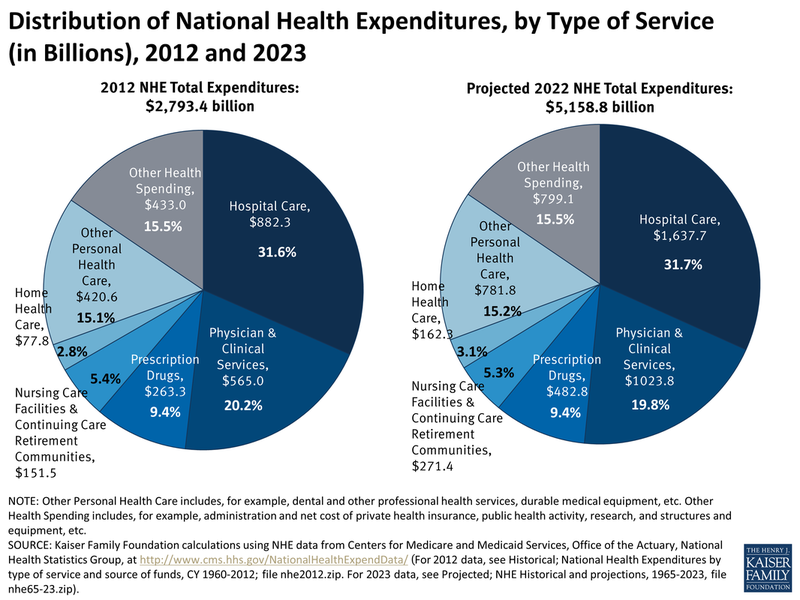 How will hospitals save money in this health care system? The ACA attempts to improve quality of care by penalizing re-admission rates, in hospital infections, and pushes for a medical home model. With the development of various direct care practices, the consumer is able to create their medical home: pick their direct primary care doctor, pick which specialist they like, and hospital. The hospitals should see less readmissions as the care in the outpatient setting is more accessible and affordable. 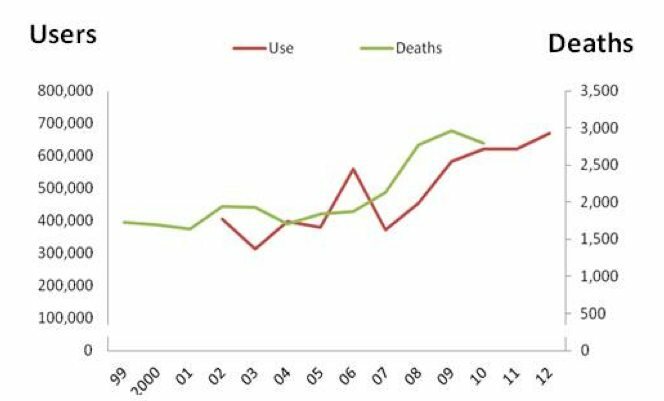 There is a reduction in risk for hospital acquired infections with decrease length of stay. Now, this solution is a key ingredient in decreasing our national expenditures quickly. But, it is not complete on its own. 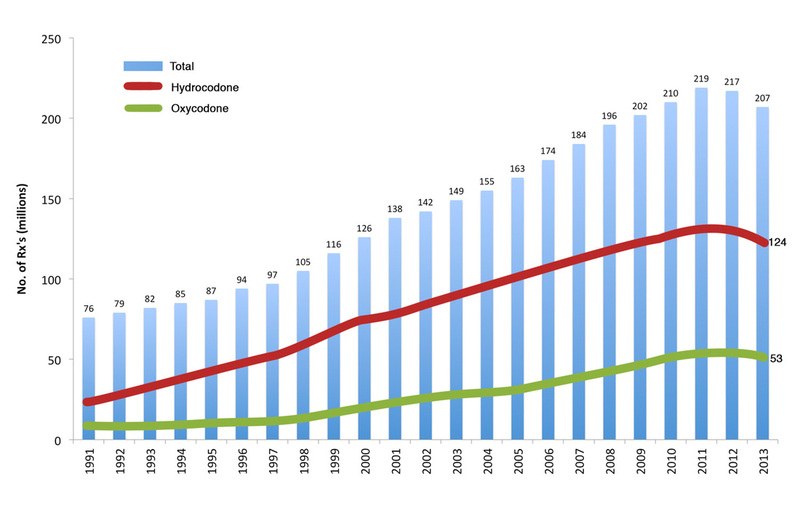 We must make continued efforts in reducing pharmaceutical cost as well as medical devices. This will take some aggressive regulations and encouragement of free market. As the insurance companies remain involved in hospital care, long term care, and some other services under the model, there must be efforts to make billing more efficient and decrease the amount of waste we produce as discussed above. Finally, as a country, each American must make a commitment to improving their health. We can open several doors for the American people, but as many direct primary care physicians will tell you, despite all these resources and at times FREE medical services, we still have trouble maintaining compliance in some of our patients. This must change. It will take comprehensive effort to improve our national health care. President Obama, despite your opinion of his presidency, has ignited the push towards better health care for all of us. It is on us to keep pushing, improving, and supporting programs that have intentions of providing accessible and affordable care for all. This is part 2/3 of My prescription for better health care for ALL Americans. ​With the new president-elect nominated by the American electoral college, there are increasing worries about repealing the Affordable Care Act (ACA). Is it possible to repeal such significant legislation of our time? Will millions of Americans lose their insurance coverage? Since its inception in 2010, an estimated 20 million of the estimated 47 million uninsured Americans gained health insurance coverage with surveys pointing towards many satisfied customers not only with their plan but also their chosen doctors. Studies, as cited by the Common Wealth Fund, also suggest an improvement in quality of care as a result of ACA implementation. In the last 6 years, there has been increasing interest in multi-payer initiatives to promote quality primary care by reimbursing physicians a set fee per member of their practice (sounds like the government likes direct care but won't admit it). All this sounds great, right? So what is all the fuss about? Most Americans do not care about the impact ACA has on the business of medicine as most people care more about how much they have to pay and what the ACA means to them. But what people fail to realize is that all Americans are INDIRECTLY affected by the increased regulations and policies that came into effect as a result of the ACA. 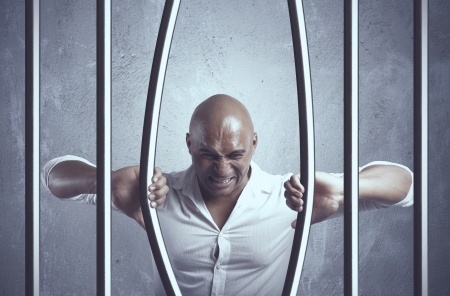 Readmission penalties, hospital acquired infection penalties, Medicare reimbursement cuts, and other policies incentivize refusal of care of patients at high risk for readmission, triaging these patients to other facilities, and delayed discharges because of the fear of readmissions. These regulations mean less time to see patients, refer them to specialty care quickly, additional testing given the lack of time in the exam room, and hospitals are placing more burden on the clinics to continue care after discharge to decrease their length of stay. 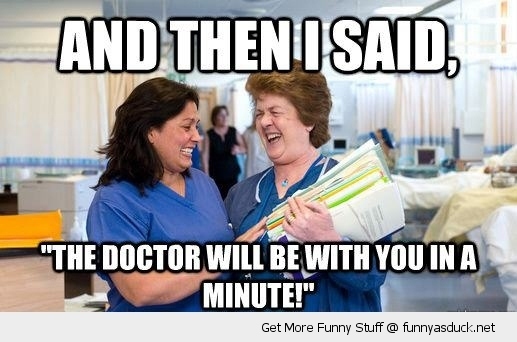 Think about this: When a person gets admitted, the hospital staff runs them through a myriad of exams and tests quickly to maximize their revenue (initial evaluation is highest paid with decreasing reimbursement for follow up visits), and then discharge them to the clinic setting where the wait times are long and the patient has little time with the doctor. 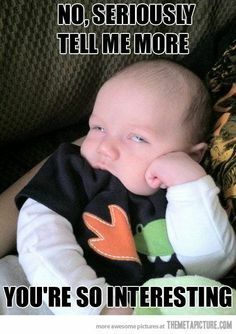 The social workers and case managers will be the first to tell you there are several moments during a hospital discharge, we can predict someone will likely come back (called LACE score). To add to all this chaos, add the fact that the insurance companies will deny medications that at discharge might be needed or imaging that is needed for follow up. Hey, but I have coverage, right? Delay in care with prior authorization and denial of medications is what only the American who experiences this in some way truly understands. 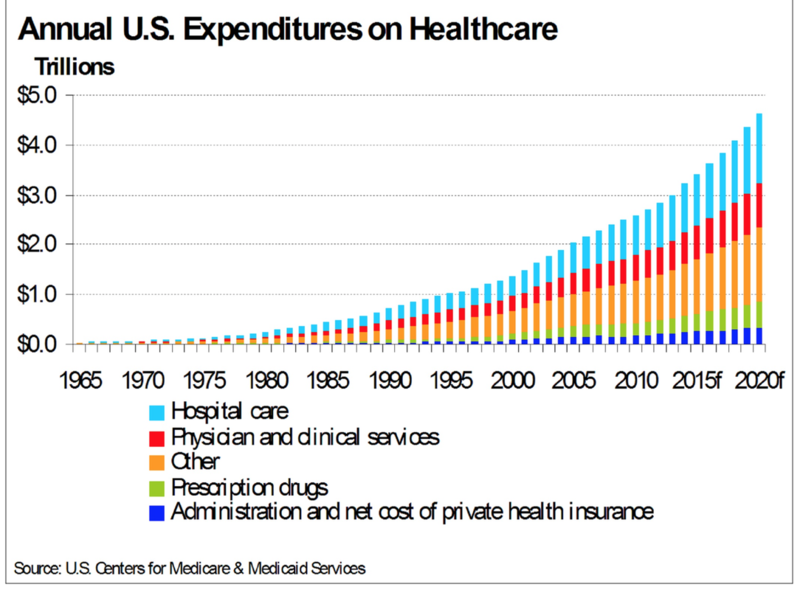 ​Health care is a $3 trillion industry. Each change in policy means millions of dollars worth of changes in staffing and organizational structure for hospitals. Like any other business, these costs will need to be recovered in some way. Thus, the rising hospital bills, avoiding certain payers completely, and entertaining providing services in a cash basis without involving insurance; it's so much cheaper! Health insurance adds about 5 staff members for each physician with denial of claims about 15-20%. Accounts receivables increase as the facilities await payment while continuing to pay for billing services to resubmit and submit new claims. 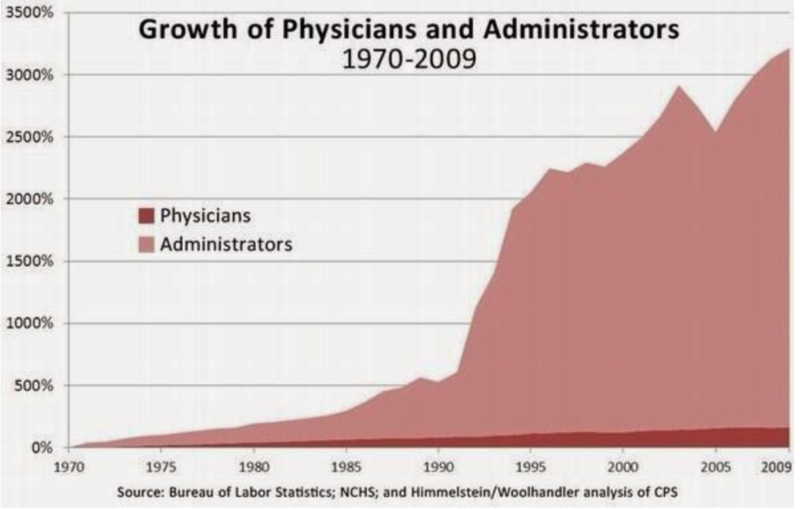 This is the single largest cost and waste in our health system. From direct costs of paper, printing, software and hardware, billing services, to indirect costs of time wasted, prior authorizations, insurance denials and requests for more forms, less patients seen due to paperwork, and burn out. This is the foundation for the need to see 20-30 patients daily to capture a reasonable revenue stream to keep the business running. More on this in the final blog post. The American Academy of Family Physicians (AAFP) proudly supports direct primary care and holds the single largest conference in Kansas City, MO every year. This single event has grown from a few 100 to over thousands of attendees, including physicians, medical students, medical residents, technology vendors, and others who are eager to partner with direct care practices across the nation. Their tremendous support stems from the growing national shortage of primary care physicians, increasing prescription medication costs, poor access to care, and unaffordable medical care despite insurance coverage. Many Americans cannot afford paying for several plans under the ACA. If they are able to get coverage, the out of pocket expenses, high deductibles, long wait times, and short visits lead to reactive behavior rather than proactive. This leads to rising costs of medical care personally and nationally. Short visits or poor access to care lands people in the ER with higher expenses. Cost of medications conflict with household budgets constantly leading to poor compliance of medications and follow up care. Many health care providers do not take Medicaid, Medicare, and various private insurances in order to stay in business. This illustrates the common mantra "health insurance does not equal health care." 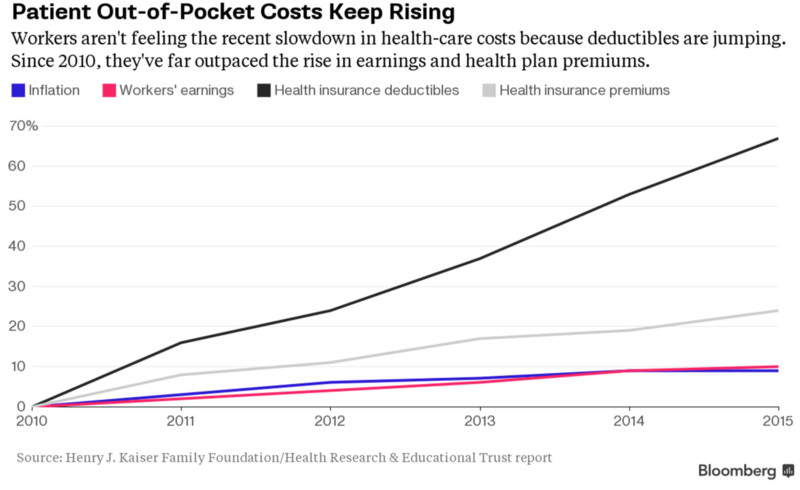 Premiums and deductibles are outpacing earnings and inflation. Offering quality coverage is clearly becoming impossible. So many plans will provide "coverage" to an American, but the details of the plan will illustrate that it barely pays for basic medical services. ​Privatize all outpatient services that are office-based. This would include primary care, all specialty follow up care, small office procedures which can include endoscopy, bronchoscopy, ENT procedures, some urological procedures, and other services. No insurance billing in these facilities. Outpatient laboratory, imaging, and medications should also be where services are rendered without involving insurance companies. The cost of these services are significantly lower on a cash only basis than they are with hospitalizations. Insurance companies should be involved only with inpatient services. This is important: Just because you are admitted to a hospital does not automatically qualify as inpatient stay. There is a status call observation status where insurance companies will say that the admission is like a outpatient visit on steroids where you don't need full admission, but not safe for you to go home. Under observation status, the patient is responsible for the entire bill. The American public has no idea the amount of arguing insurance companies do behind the curtain and threaten to deny services. So as much as that plastic card may seem all warm and cozy in your wallet, realize that their interest is not paying for anything and will threaten or deny care for you the minute it is possible. It is your doctors, case managers, and social workers who are fighting to continue to provide you the care you need. How would this new health system look like? I discuss this in my final blog post for this 3 part series. ​Those of you who follow my blog know the foundation of my leadership philosophy. Empower your team with tools and resources they need to solve problems creatively; ultimately bringing success to the entire group. First step in solving any complex issue is to first understand the problem. And so, we start by looking at the problem in the economics of delivering care by understanding the cause for rising insurance premiums. I hope to raise your awareness in this 3 part series to illustrate the real issues with the Affordable Care Act and propose a solution which I think will propel us to being the most innovative and efficient health care system in the world. If you are like most Americans, the open enrollment season is confusing, nerve-wrecking, frustrating, and quite honestly, an overwhelming time. How do you choose which insurance is right for you? All the language and terminology is so confusing that making sense of a single plan is a daunting task. Insurance brokers are there to help, but the industry is changing for individuals at least as the insurance companies are not paying these brokers commission for selling their product; leading to less brokers out there helping individuals and families. Naturally, we wonder why the premiums are so high and why they keep rising? Here are the top reasons why insurance premiums are rising and will continue to rise until we finally agree to privatize primary care and other outpatient services; keeping health insurance out of these basic services. ​How has the rise in insurance premiums compared to median household income or earnings? So, to put this in perspective, workers are not earning enough to keep pace with rising insurance premiums. This leads to either the employer spending more on health care coverage, letting go of some employees in order to provide coverage for others, downsize the business, or stay less than 50 employees to prevent having to require health insurance. This de-incentivizes economic growth. How does this make any economic sense? Higher premiums mean less out of pocket? Wrong! Your analysis is correct: rising premiums and deductibles are outpacing inflation. 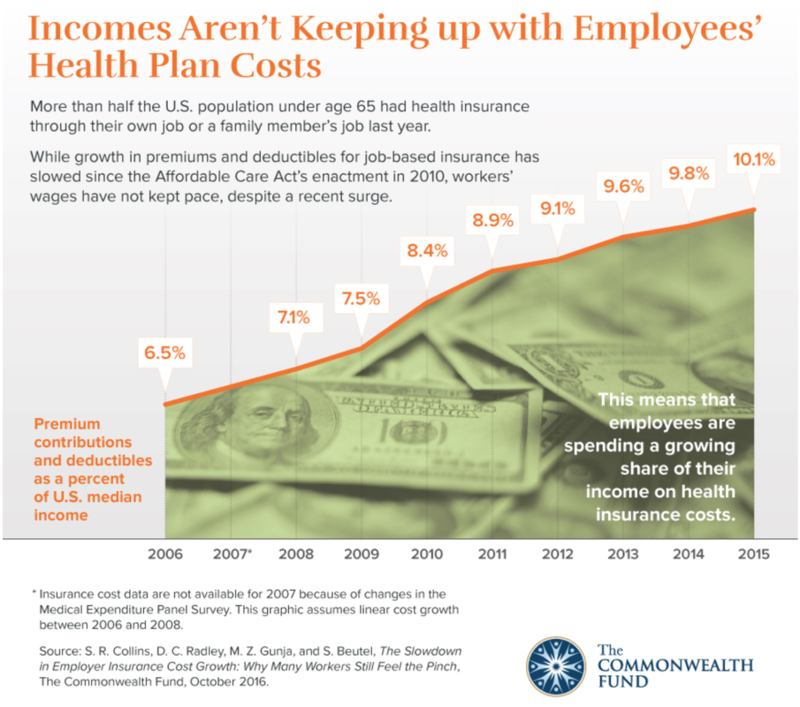 This is why earnings are not keeping pace with premiums or deductibles, causing Americans to hold onto their wallets even tighter. 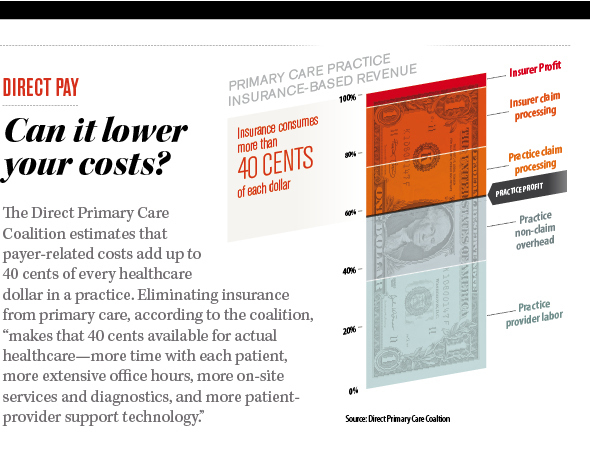 This is the reason why investing in primary care is so critical to keep costs down. More chronic illnesses does not necessarily mean more specialty care. Primary care is built, conditioned, and positioned to be fully capable of managing these illnesses at a low cost. The problem arises when the system does not allow primary care to do what it is capable of offering. Instead, the system encourages more specialty care. Even with value based purchasing and the movement towards rewarding value rather than volume, the cost of doing business in health care favors larger health systems instead of small private practices. Ultimately, making no progress in making the delivery of health less complicated, more personal, accessible, and affordable. 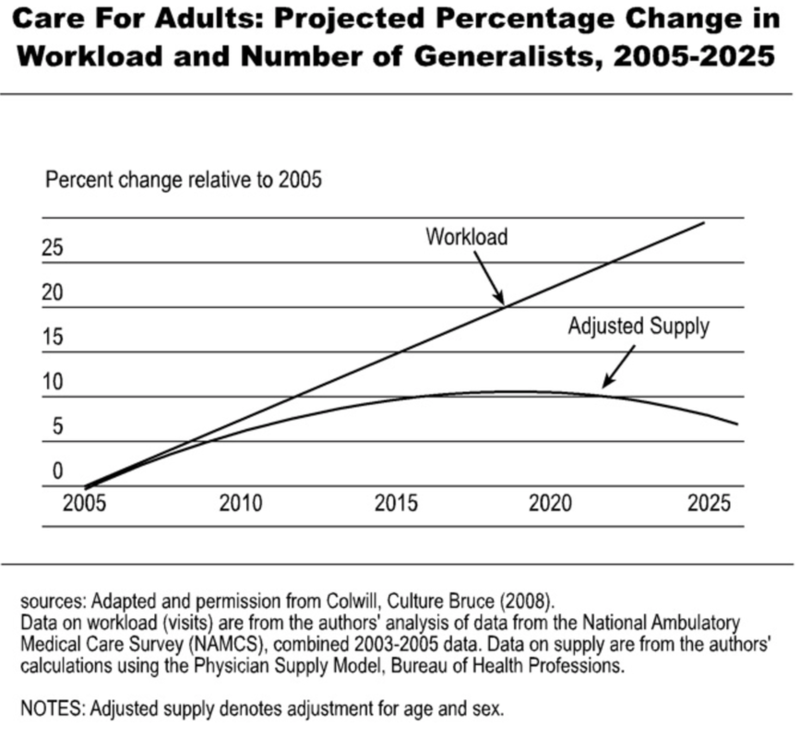 Will the demand be met with a supply of primary care physicians? The current health care market is ripe for future primary care physicians. Many may look at the current state of primary care and run away. But the informed and astute medical student will understand the industry and market trends illustrated in this blog and realize this is the best time to be a primary care physician. It is also a wonderful opportunity for investors and innovators to assimilate modern technology with quality primary care. No, not telemedicine by itself. The human touch and relationship must never be obliterated. Imagine the patient experience with modern technology and medicine that focuses on building strong, long lasting, relationships. That is the future of primary care. That is the future of the United States Health Care System. If you are a investor, innovator, or someone in the community who wants to support my vision, please support our growing practice. Health care will be much different and more efficient for the next generation. Full disclosure: This topic has been discussed many times and the best article I have read on this question by far is by our fellow direct primary care doctors at CovenantMD. Please feel free to read their full article by clicking the link. The most common question of all questions I get is "Why would I pay a monthly membership when I already pay for health insurance premiums?" The first thing I do is remind people that most people with insurance already pay twice for health care. 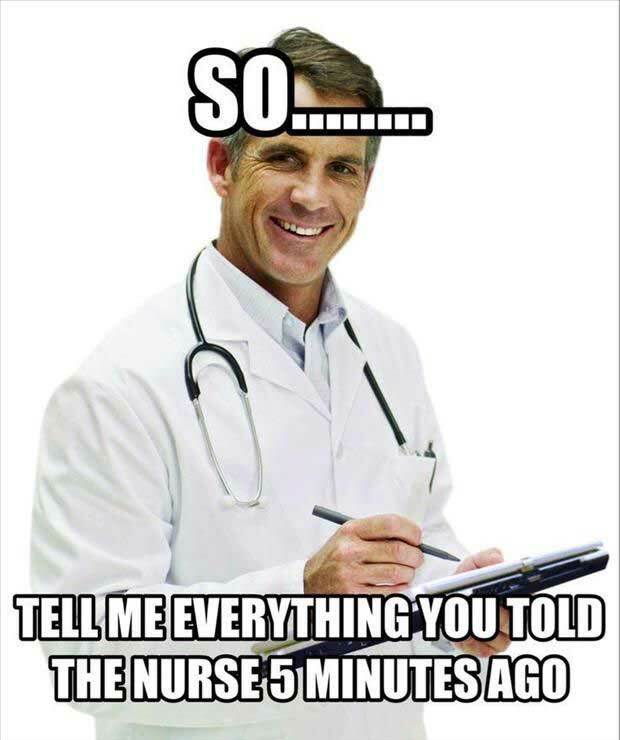 Once for your premiums and then the second time for prescriptions medications, labs, imaging, and anything else outside of the premiums. So, direct primary care aims to decrease the amount you pay the second time you pay for health care, while adding significant value to your investment. Most people will save on insurance premiums by selecting a high deductible plan, use the direct primary care practice to save money on 80-90% of medical needs, which includes discounted medications, laboratory, and imaging. They reserve their health insurance for expensive items like surgery or procedures. It is difficult to place a quantitative value on medical services that would be prevented with good direct primary care. This is the whole idea behind this model. Be accessible and affordable to prevent catastrophic complications, unnecessary testing, and reduce hospitalizations. The lay public has no idea how a small open wound, a few high blood pressure readings, few high blood sugar readings, ignored leg swelling or other symptoms, can lead to horrible complications if not diagnosed and managed early in its course. These figures are estimates and certainly can fluctuate on a case by case basis. But, overall, the savings increase as we age simply because you might require more office visits, which are FREE in our direct primary care practice. Most in-clinic procedures like breathing treatments, skin biopsy, joint injection, etc are also FREE. These visits are not 10-15 minutes, instead the 30-60 minute visits might allow us to avoid unnecessary testing and specialty consultation. If specialists are involved, then a direct model allows better communication between the specialist and the patient. It truly is rewarding to see patients become more empowered, more enthused about the physiology at play and learn how they can make an impact in their health with a few steps; ultimately, they feel more in control of their health. What about those who are very complicated and have a lot of health issues with multiple specialists? You mean like someone with multi organ failure with a large abscess that needs to be drained, liver failure, kidney failure, malnutrition, high blood pressure, and progressing malnutrition...complicated like that? Yeah, we have that case and in fact we are celebrating his recent hospital discharge and every organ that was injured is now healed. More importantly, his hospital stay on average would have been 7-10 days and we were able to get everything tuned up in 3 days. Direct care allows the primary care doctor to organize an effective team and arrange procedures that have to be done efficiently for that patient. Again, saving 5 days of a hospital stay is very significant, not mentioning the peace of mind of having your leader who you see in the clinic take charge in the hospital as well with smooth communication throughout your stay. Did you say massive stomach bleed, severe anemia where all the diagnostic procedures can't find a source of bleeding, or the rash that no specialist would take her case because she has no insurance and ultimately needed a strong medication that at times is used for chemotherapy from our office to treat it....and now the rash has cleared...cases like that? Yup, we take care of them too! By all means, the point of all this is not to brag, but to illustrate a very important point. Primary care is extremely effective if there is time, no 3rd party influence dictating care, and the patient and physician have a strong relationship. Primary care is not just treating common colds, joint aches and pains, and other minor issues. Good primary care takes charge of multiple issues and focuses on preventing chaos. The more complicated the case, the more value you get! Our Medicare patients who have additional supplemental insurance will say that the accessibility and leadership of their care is what attracts them to our practice. The cost of care is still cheaper with a direct practice as illustrated above. Specialist visits likely will be reduced and the focus is to reduce the number of hospitalizations by preventing medical illness. House calls are a known benefit which save people time and money. Stop by, ask questions, and see how we can help you stay healthy or help manage any health trouble you might be experiencing. Monthly membership too much for you? Then, consider pay per visit rather than monthly membership plan. We are here to help and have a model to serve everyone. Cost should not be a barrier to join if one really understands this model of primary care. We will be honored to serve you and help you to live a happy and an enriched quality of life. Tis the season for the most popular sport in America, FOOTBALL! But, what is astonishing is that it is not just football where concussions occur. Sports like soccer, wrestling, basketball, ice hockey, lacrosse, volleyball, gymnastics, cheerleading, baseball/softball, and of course skiing and snow boarding. What is even more interesting is that girls report concussions more than males. Part of this might be the "macho" effect, but there is more to this than under reporting from males. It also tells us that there is more to concussions than the fact that athletes are getting bigger, stronger, and faster. ​Check out the study published in Clinical Sports Medicine 2011, January issue, volume 1, pages 1-17. Here is the link if you have access to this article CLICK HERE. It is also no surprise to anyone that athletic participation across genders has increased when we compare 1982-1983 to 2007-2008. But, it will blow your mind at how drastic this increase has been. Those of us who follow athletics know about the growing participation, competition, and support of high school athletics. High school athletes are also getting bigger, stronger, and faster with aspirations for professional athletics. Therefore, it is not surprising when researchers and doctors see a rise in concussions and other serious injuries in high school athletes. Concussion is a mild Traumatic Brain Injury (TBI). It is a trauma-induced alteration in mental status that may or may not involve loss of consciousness. ​TBI happens with head injury due to contact with acceleration/deceleration forces. Rest from physical and mental activities. This means that television, computers, and music should be limited. That is right, NO VIDEO GAMES! These activities might make symptoms worse. Eating well balanced meals with adequate hydration are key to recovery. Play by the rules and practice good form when it comes to tackling, wrestling, etc. Identify if there are any trouble spots on the field that may increase risk for an abnormal fall. Make sure you are using the right sports equipment. Bottom line: practice good technique and focus on strengthening and conditioning. This is most important. Too many athletes focus on getting "big" or "ripped". But a good looking physique does not guarantee prevention of injury. Workout with purpose and intention. Think about the muscles your are working out. Know your anatomy. This is what makes working out fun. 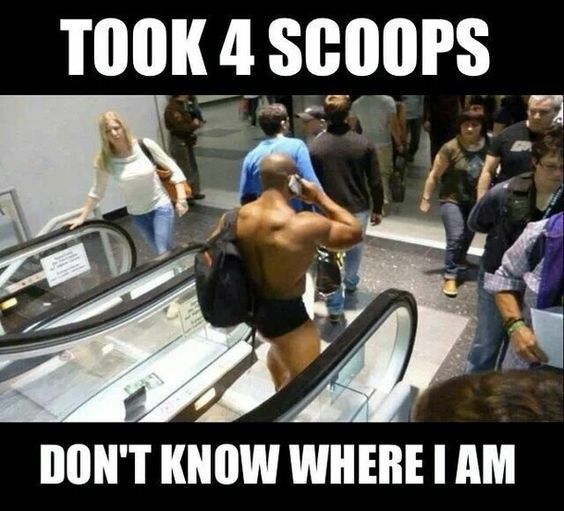 Take your time and take your workouts and nutrition seriously. Surround yourself with people who care about your health instead of pushing products. Being in private practice and becoming involved in my community, I meet a lot of people and small businesses. I must say, there are products out there, exercises, diets, and ideas that are just NOT SAFE. Please consult with your doctor before doing or taking anything. 4. Never ignore a head injury. When in doubt, sit the athlete out.